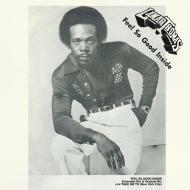 Favorite Recordings proudly presents this new official single reissue of “Feel So Good Inside”, by Lamar Thomas. A killer deep-disco and very rare collectable single, fully coordinated for reissue by French respected DJ and Tropical rare-groove specialist, Waxist Selecta. Lamar Thomas is an American singer, composer and producer who made a short solo career in the 70s, and then formed the duo Thomas & Taylor. He has also penned few songs for Johnny Bristol, Garland Green, Nancy Wilson, Maynard Ferguson, or Johnnie Taylor among others.